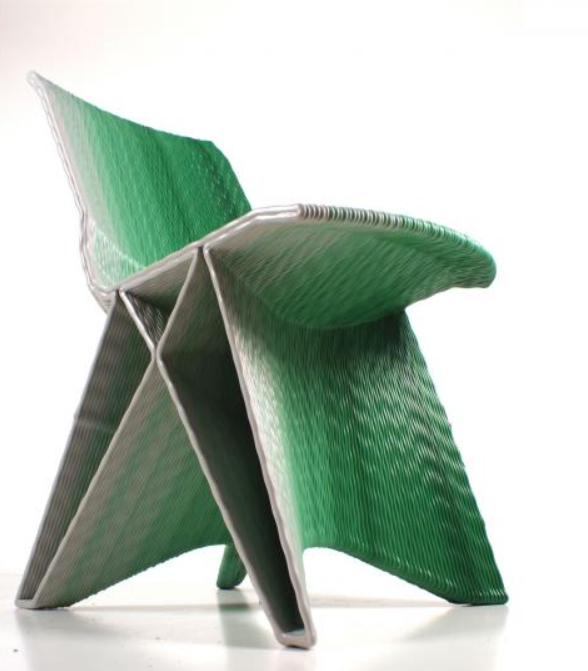 Drawn – French startup 3D prints your furniture using a 3D Printing robotic arm #3DxFurntiture #3DThursday #3DPrinting « Adafruit Industries – Makers, hackers, artists, designers and engineers! An amazing assortment of 3D printed home furnishings (chairs, lamps, tables) were showed off last weekend at Maker Faire Paris. The company behind it, French startup Drawn, has launched its own line of 3D printed furniture showing off its excellence technical know-how, aiming to inspire everyone to design and make their own furniture. 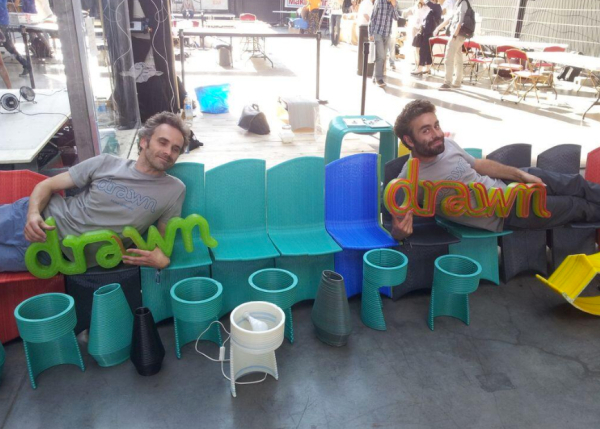 Sylvain Charpiot, and Samuel Javelle, founders of Drawn, met in 2012 during a campus FabLab creation project in Lyon, France. They both have a dream of producing locally-made, custom-built furniture. In January 2014, after Sylvain had sourced all the required technical data and equipment, the team printed out the first prototype in March – only 2 months later. 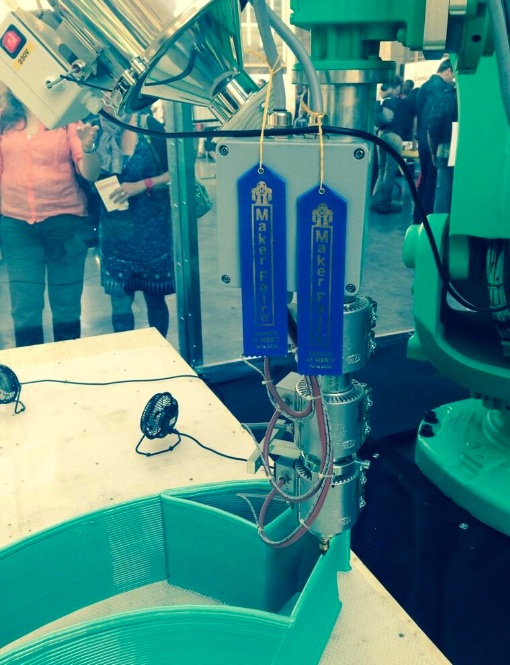 Their robotic arm 3D printer, called Galatea, was the result of 2 years of research. With the help of funding, they have built the Galatea, named after an ivory sculpture made by Pygmalion, a mythological Greek sculptor….